Founded by John McAdams on April 2, 1979, the firm got its start in a 240-square foot office in the back of a Gulf gas station in Chapel Hill. 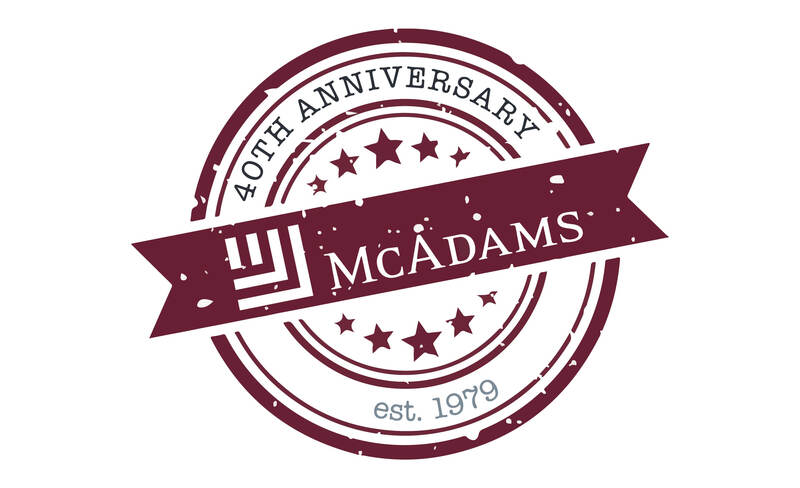 Since that time, McAdams has been a fixture in the Triangle engineering and commercial real estate industries and has grown to have significant relevance throughout the state and beyond in a variety of sectors. The firm has played a role in many of North Carolina’s most well-known development projects including Triangle area projects like North Hills, Brier Creek Country Club and East 54. The firm has expanded its capabilities to serve universities and municipalities with projects like Wallace Wade Stadium (Duke University), Kenan Stadium (UNC Chapel Hill), Belk Plaza (UNC Charlotte), City of Durham Snow Hill Park, Raleigh’s Crabtree Creek Greenway and Uptown Charlotte’s Pearl Street Park. Other notable projects in NC include the mixed-use development Waverly in Charlotte and Durham’s The Streets at Southpoint. Our Dallas-Forth Worth office has completed notable projects for the last 30 years including the Riverwalk at Central Park in Flower Mound, Roanoke City Hall and Trailwood residential community.